"With so many Kentuckians worried about an uncertain future as well as their physical safety given the hateful attacks against the LGBTI (lesbian, gay, bisexual, transgender, and intersex) community, women, and many others from political candidates who have now been elected, we do not blame them. But we must remember that our work has never ended. The political ideology in Frankfort, Kentucky will change drastically when the Kentucky House and Senate convene in January. 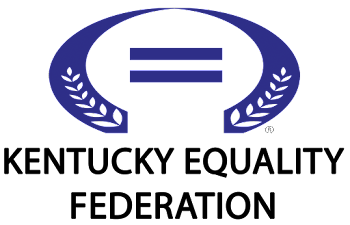 The LGBTI community, Women, and other minority groups will continue to fight for equality and inclusiveness. 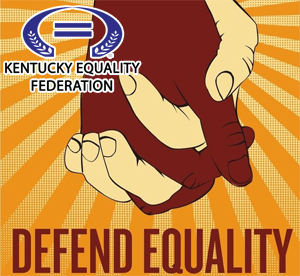 Kentucky Equality Federation​ invites the new members of the Kentucky Senate​ and the Kentucky House of Representatives​ to join us. Our community has endured; it will continue to endure long after the terms of those who will assume office have ended. As we had so many times in the past, we will continue to overcome obstacles placed in our path. We will not be silenced, and we will not accept whatever legislative agendas our elected officials attempt to force upon us should they violate anyone’s civil liberties. Oh, and would someone PLEASE tell Governor Matt Bevin​ that he stole my saying "We ARE Kentucky!? I've been using that on and off since 2010, especially during the so-called Kentucky Religious Freedom Act, effectively nullifying city local ordinances." --> This was a prepared statement from the communications director for the Office of the Secretary-General, Jordan Palmer​ of United Kentuckians for Equality, Kentucky Equality Federation, and Marriage Equality Kentucky​, Kentucky Equal Ballot Access​, and Kentucky HIV / AIDS Advocacy Campaign​ (collectively referred to as the "Federation Alliance") as well as the managing director of EACH organization. --> This was a prepared statement from the communications director for the Office of the Secretary-General, Col. Jordan Palmer​ of United Kentuckians for Equality, Kentucky Equality Federation, and Marriage Equality Kentucky​, Kentucky Equal Ballot Access​, and Kentucky HIV / AIDS Advocacy Campaign​ (collectively referred to as the "Federation Alliance") as well as the managing director of EACH organization.